Is NNU Income Program Yet Another Scam? 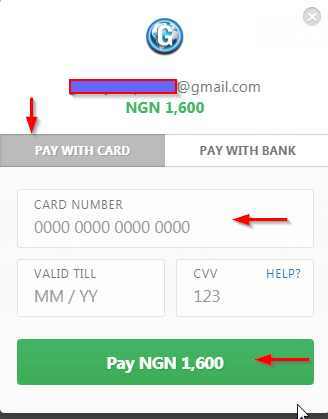 Home Make money online ng register NIP nigeria NNU NNU Income Program NNU.ng nnu.ng login nnu.ng portal Is NNU Income Program Yet Another Scam? NNU Income Program (NIP) is one of the latest money-making schemes that is currently trending on Facebook, Twitter, Google, and Bing. The nnu.ng registration and promotion must have also become a trend on your Facebook wall like it did on mine since March this year, and my response like yours was to turn a blind eye to it. Admittedly, I didn't expect it to last well into August. But now that it has, is it too late to take a share in this hot cake or wait out to see how soon it will crash😖? I can't give you an outright Yes or No! This is because you will only be able to ascertain how genuine the NNU program is and how long it's going to last after reading our honest NNU income program review. Why should I even bat an eyelid at NNU after MMM don run with my money, after all, they sound similar😠? Be patient mate, I'll tell you! Unarguably, 2016 was a good year for some Nigerians thanks to Ponzi schemes like MMM, Ultimate Cycler, Pay cycler, Twinkas, and several others. With similar strategies put in place for earning, each of this was unable to stand the test of time because there was never a working product to sustain the system and as such, when it ran out of people to pay the next batches, naso air blow fowl yansh😂!! But let's not shake that table right now. What Exactly is NNU and is it Yet Another Scam? NNU is an abbreviation for Nigeria News Update and it is a news website that is coupled with an NNU Income Program (NIP) to enable Nigerians to earn. Unlike popular Nigerian forums like Nairaland, Nairalist, Nigeriaworld and several others where you post trending news, comment, and share posts either to entertain yourself or drive traffic to your site without earning a dime, you actually get paid for doing each of these on NNU. Inviting people to register on the NNU income platform. You'll agree with me that this is definitely not a Ponzi scheme that is just waiting to crash after you join because we've seen that happen time and again. What makes NIP (NNU Income Program) unique is that you get paid part of the money NNU is actually making from their advertisers through sponsored posts. You also get a commission for inviting new members to join the program. For this reason, I can say that this stuff is legit since there's actually a working product and you only get paid for doing some simple tasks. The administrators of the site have a whole lot to gain since their news site will be more popular and as such, they'll put in a great deal of effort in its proper management to see that its one of the best out there. NIP is unique because it does not rely solely on the income generated from referrals to run the system, but also on the revenue generated from publicizing ads. Are you a news fanatic or social media enthusiast? Do you want to earn while you read your favorite news on sports, celebrity gossip, politics, and much more? Then take a walk with me and I'll show you how to make money on NNU. How Do I Earn on NNU? Each day you log in on NNU.ng website, you earn at least ₦50 or more depending on the daily revenue share for that day. By reading the news on NNU and commenting on them, you earn at least ₦2 or more for each post viewed/commented on depending on the revenue that is to be shared for that day. For starting up threads or posting new topics on the NNU.ng forum, you can earn ₦100. Members of the NIP are assigned one sponsored each. This post can either be published on their Facebook or Twitter timeline to earn them ₦100. You stand to earn a lot as an affiliate on the NNU.ng Income Program. This is because for each person you refer to join the NIP using your unique referral link, you get paid 62.5% of the amount they used for registration. You stand to earn as high as ₦1,000 as your commission for each person you refer to join NIP. How do I join the NNU Income Program? To become an NNU affiliate, you are required to pay a one-time entry fee of ₦1,600 which will enable you to earn in both NARS and NAP sections of the platform. Fill out your name, surname, phone number, and passwords in the spaces provided. Tick on the checkbox 'Paystack' as your payment method. Also, tick the checkbox 'Accept the terms and conditions'. Finally, click on 'Make Payment'. Click on 'Pay NGN 1600' to process your payment. 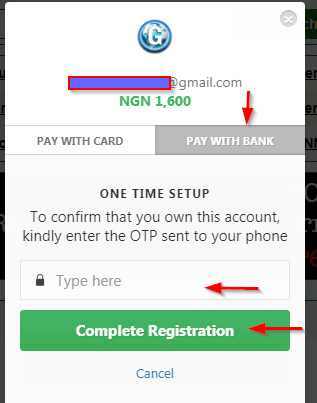 Enter your account number and the One Time Password (OTP) that will be sent to your registered bank phone number. If your payment is successful, you'll get a notification immediately. You can now log in to start earning from NNU. Choosing Paystack online payment enables you to pay the registration fee using a credit card or directly from your bank. In the case of a credit card, you can easily do this using an Eco bank, Access bank or GT bank ATM card or any other. On the other hand, choosing the option 'coupon' requires that you contact one of the NNU Coupon distributors to purchase a coupon code. You can find their contacts here on the NNU portal. Whichever you opt for, once you've made a payment of ₦1,600, your account will be activated immediately without delay. When Should I Expect The Money? Once you've made a minimum of ₦5000 on NNU, you can request for payment. This payment is made between the 27th and 30th day of the month and directly into your bank account which you would have already filled on the site. That being the case, expect an alert between those days. What If I Can't Refer? Although there are two packages made available for NNU participants to earn, you need to have a minimum of two referrals in order to be able to withdraw your month's earnings. If you decide to settle for the NARS package, then you must ensure that you refer only two people in order to be assured of withdrawing your month's pay once it accumulates to ₦5000. Do you own a Facebook, Whatsapp, or Twitter Account, and are you actively participating in each? Then I believe you can refer those two people within 30 days. Here's a rough estimate of what you're likely to earn even if you're sleeping on NNU in the entire 30 days. If you can dedicate 30 minutes to 1 hour a day on NNU, you should be able to make at least ₦12,500 a month from your onetime fee of ₦1,600 for the NNU income pack. But then, if you don't want to settle for less and you're ready to take this seriously, you can set a target and make as high as ₦50,000 per month. In this case, how much you stand to make on NNU depends on the time and effort dedicated to this program. Making ₦10,000 - ₦50,000 on NNU Income is 100% sure and guaranteed monthly .........., understand the concept and put it to work. With only a one time payment of ₦1,600 a lot of Nigerians have been earning ₦50,000 - ₦100,000 monthly on the NNU Income. The NIP was created by a Nigerian entrepreneur, Paul Samson in July 2017. Paul is an affiliate marketer and Internet marketer who is also behind the referral network Coolnaira.com and empowerment network Eboss.ng. NNU is partnered with Whogohost, Paystack, VTPass, VoguePay etc. Whether you're a student, graduate, blogger, job seeker, or an employer of labor, there's always a need for that spare cash especially when it's earned the legit way. Have you been searching for how to make money online the easy way? Then here's an opportunity you should seize with that valuable ₦1600 of yours. There's no limit to how much you can earn on the NNU portal!! Now that you know how NNU works, take the next step and give it a try.